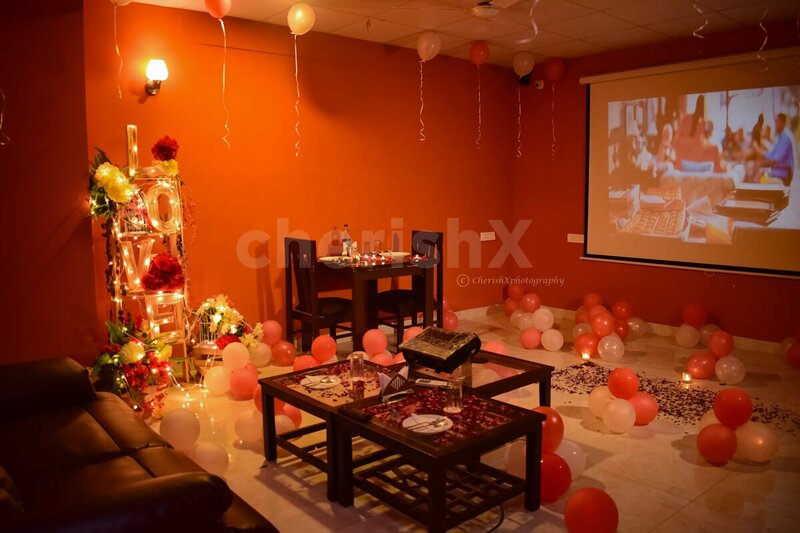 Flowers, balloons, lights, a private movie screening and 3 course dinner-quintessential date, isn't it? 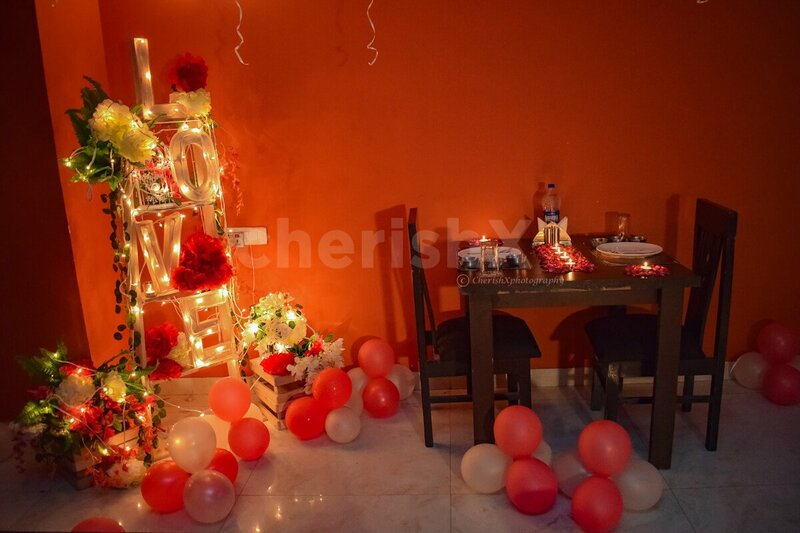 Live your fairytale date in reality with our specially curated experience. 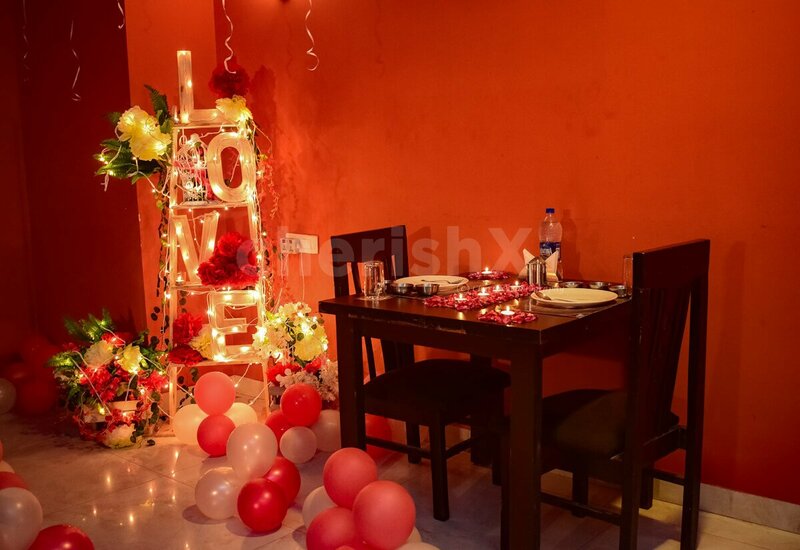 A private room set up with prepossessing artificial flowers, red and white romantic balloons, charming lights, decorative cages and Love standee letters. All this and a private movie screening topped with delicious 3 course meal. 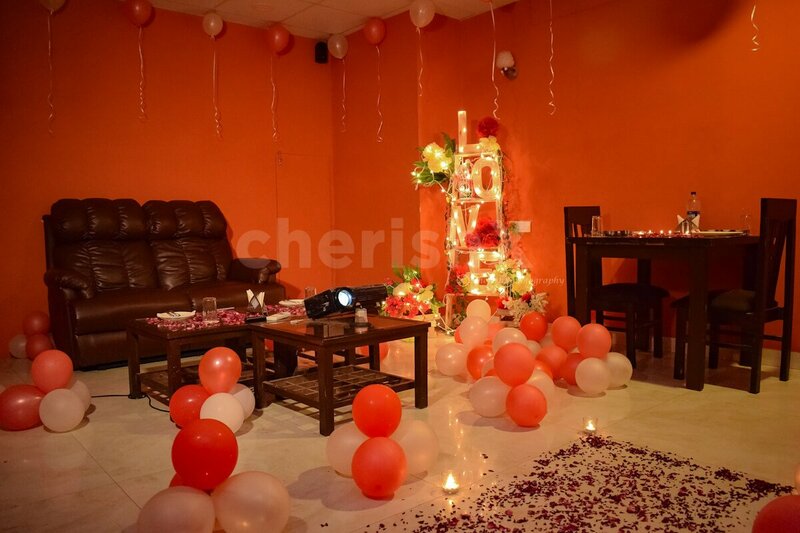 Enjoy the movie of your choice with your partner in completely arresting romantic ambiance. The movie is screened on a projector in a comfy, not too large - not to small, room. You can bring your partner’s favorite movie in a pen drive. Your meal would be a sumptuous 3 course meal with punjabi / north indian flavours. Your starters, mains and desserts are served with a personalized service of private butler. Also, post meal enjoy sipping a coffee or tea together. This experience is also great for gifting your friends, and family. 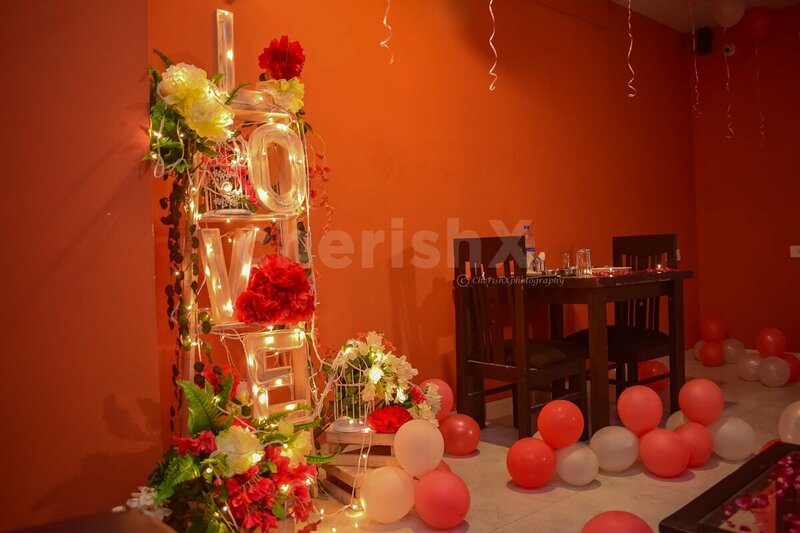 Imagine you sending your parents for this date - and them going back into time to remember their special moments!